Bobby Rydell’s career has spanned more than 50 years—and it’s still going strong. Bobby Rydell grew up crooning on Philadelphia’s street corners alongside friends like Frankie Avalon and Fabian, perfecting the notion of “teen idol” decades before anyone ever suffered from Bieber Fever. A true performer who sings, dances, plays the drums and acts, the 69-year-old has sold more than 25 million records, recorded 34 Top 40 singles, starred in Bye Bye Birdie, and become immortalized in Grease (they named the school, Rydell High, after him). He has a street named after him in Philly and, thanks to his classic summertime song “Wildwood Days,” he also has one down the Shore. On the heels of being honored by the prestigious Voice Foundation, the still very active Rydell sat down with us to talk about what keeps him going. SOUTH JERSEY MAGAZINE: What went through your mind when you found out you were being honored by The Voice Foundation. 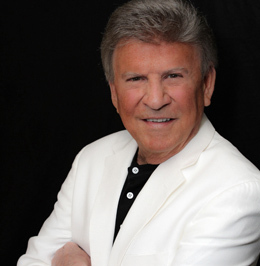 BOBBY RYDELL: The Voice Foundation is the world’s oldest and leading organization dedicated to voice medicine, science and education. I am receiving this year’s Raymond and Beverly Sackler Award—presented to honor personal excellence in the use of the human voice. The fact that previous recipients were Walter Cronkite, James Earl Jones, Jack Klugman, Helen Hayes, Jessica Tandy, Patti LuPone, Anna Moffo Sarnoff and Tony Randall is a thrill. SJM: While some fans have grown up with you, you’ve also attracted a new fan base. What’s it like when you look out in the audience and see that mix of young and old? BR: Just wonderful. I meet many younger fans at my shows and on my Facebook pages. They know me from Bye Bye Birdie, which was recently digitally restored by Sony Pictures. They know me from their parents’ music collections and become fans, too. I even had one young fan do an impersonation of me on YouTube. SJM: With all the success you’ve achieved over the years, what compels you to stay active in the industry? BR: I always say when it is no longer a joy to work, then I’ll be done. Luckily, I still have the pipes and love what I do. SJM: What was it like being a teen idol? Did you have to fight the girls off with a stick? BR: Yes to the stick, but I do think the fact that I stayed on the East Coast to live kept things in perspective to me as a young guy. SJM: Were your parents worried about you finding your way as a teenager? BR: I’m sure they were. There was always this sense of keeping me grounded. Also, I was blessed with early management [Frankie Day] who always had my best interests in his sights. SJM: When you look back on your career, what’s been the most satisfying part of it all? BR: That 50 years later I am still in this business, which is normally a fickle one. SJM: You are part of a legendary era of Philadelphia music. What was the scene like in the neighborhoods back then? BR: Guys crooning on street corners … [but] I just wanted to play the drums (my first love). Drove my parents and grandparents (and neighbors, I’m sure) nuts…. Everyone wanted to be in a band back then. SJM: Having grown up with Frankie and Fabian, what are your thoughts on the city’s place in music history? BR: What I can say? It all started in Philly. SJM: You have the most recognizable song about the Jersey Shore ever in “Wildwood Days.” What was it about Wildwood’s golden era that was so attractive to you? BR: Things were a lot easier and simpler back then. My grandmother had a boarding house in Wildwood and I spent all my summers there as a kid. SJM: What was the best “Wildwood Day” you ever had? BR: I was playing ball with some buddies on a summer day and a neighbor came running to my grandmother telling her that they were playing my record “Kissin’ Time” on the radio. It was an exciting moment.